Since Bucharest`s origin, the area where the Ìzvorul Rece park is placed symbolized an important factor for the city, even if in the start the area was adjacent. Two century ago, the place was loaded with pubs and rest houses available for the merchants who used to bring different goods made inside and outside the country. After the end of the fairs the people started to party from dusk to dawn. This type of environment captivated increasingly more artists. Thereby, at the beginning of the 20th century, the `Parcul Izvor`area became one of the most favourite places for outstanding writers, painters and architects in the town. 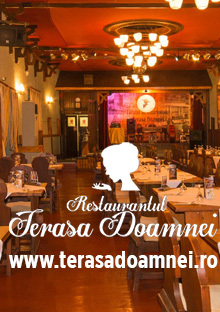 This founded Ìzvorul Rece`Restaurant, open since 1930, becoming one of the most known places in Bucharest, `Gara de Nord`area and Ìzvorul Rece.